While we're on the subject of Pacesetter (we are, sort of), one of the TSR ex-pats who helped found the company was Stephen D. Sullivan. Sully had been at TSR for about a year when I was hired. He was dividing his time between editing, illustration, and cartography (at that time, maps were drawn by the illustrators; those jobs hadn't been split into separate departments yet). We shared an office above the Dungeon Hobby Shop for over a year and were neighbors in the same apartment building for many more, so Steve is one of my oldest and dearest friends. At Pacesetter, he did game design, editing, and illustration for Chill, TimeMaster, Star Ace, Wabbit Wampage, and everything else Pacesetter produced. These days, Steve is one of the workhorses of genre fiction. Most writers can only fantasize about having a body of work like what he’s produced. 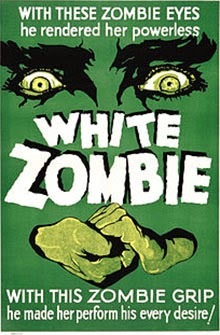 Steve’s latest is a book adaptation of the seminal horror film White Zombie starring Bela Lugosi. I re-watched this movie about a year ago, and was surprised by how much I enjoyed it, since I remembered my disappointment with White Zombie as a kid. It moved too slowly for a 12 year old who wanted to see hordes of zombies devouring human flesh. White Zombie isn't that story. It foreshadows by about 10 years the work that Val Lewton and Jacques Tourneur would do at RKO in the 1940s with movies such as Cat People and The Leopard Man. If you're a fan of moody B&W horror, Lugosi, or zombies, and you'd like to know where all this zombie mania came from, then watch the movie and read Steve Sullivan's adaptation and recreated script. 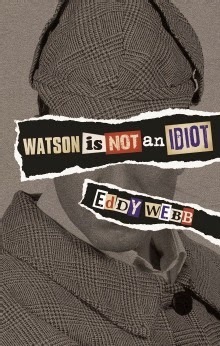 And since I’m making book recommendations today, here’s another: Watson is Not an Idiot by Eddy Webb. 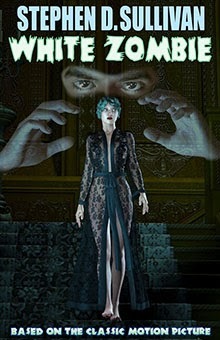 The book is a collection of essays, one on each of the canonical Holmes stories by Arthur Conan Doyle. In them, Webb examines the stories for continuity (something Doyle was notoriously bad about), historical context, running themes, characterization, the “real” Holmes and Watson vs. the myth, and whatever else about a story catches his fancy. If you’ve read Ken Hite’s Tour de Lovecraft, this is a similar approach, but the essays are more extensive. (I found many of Hite’s essays too brief: more tantalizing than satisfying. That’s not a problem here.) Watson is Not an Idiot is a terrific companion to the Holmes mystyeries. Even though I’ve read all the Holmes stories multiple times, this collection of essays has made me start them all over again. On Friday the 13th (of September), Cryptworld was released by Goblinoid Games. 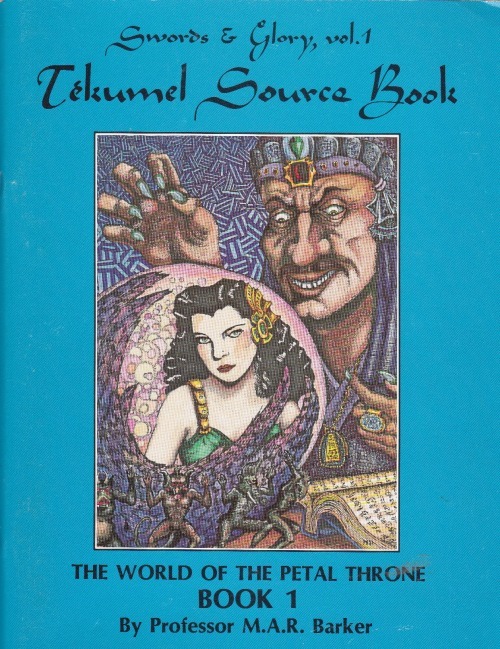 Readers probably know Goblinoid from Labyrinth Lord, Mutant Future, Starships & Spacemen, and other excellent retrogames. 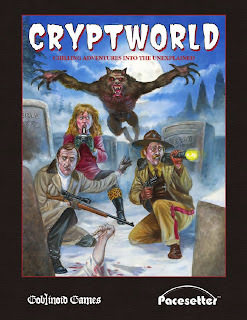 Cryptworld: Chilling Adventures Into the Unexplained is a retroclone of Pacesetter's 1984 horror RPG Chill: Adventures Into the Unknown. Cryptworld isn't exactly the same game as Chill, but it's a darned good imitation--maybe even an improvement, depending on your taste. CryptWorld uses the (for lack of a better term) "Pacesetter engine." This Universal Table system appeared in three Pacesetter games back in the '80s: Chill, TimeMaster, and Star Ace. Goblinoid has dusted off the universal table for its reprint of TimeMaster and two original games, Rotworld (zombie survival horror) and Majus (magic/noir). If you've played any of those new titles or any of the old Pacesetter games, you know 80% of what's needed to play any of the others. CryptWorld is not identical to Chill. Most of the differences are minor. CW is slightly more generous with skill points (+1). The skill lists are different, but the changes are minor and mostly for the sake of modernization (CW adds computers, electronics, a variety of vehicle and riding skills, and stealth, for example, all of which were missing from Chill). It loses hypnotism and various arts. These switches aren't huge or hugely important, but they highlight an interesting difference in focus. Chill was inspired by Hammer horror films of the 1950s and '60s, where Peter Cushing and Christopher Lee frequently portrayed characters like hypnotists and artists in Gothic Victorian settings. CryptWorld's focus is on the horror revival of the 1980s, where computers, electronics, and teenagers in cars were common. Neither list is perfect, but there's no reason why you couldn't combine the two into one master list. CW does keep the odd Long-distance Running skill, which I've never seen used in a game, ever. Magic (Chill calls it the Art, CW calls it paranormal talent) is also different between the two games, with some overlap. Chill had nine powers in three groups: telepathic sending, restoration, and protection. They were subtle; about the most dramatic was Feat of Strength, which boosted someone's strength. CryptWorld has 13 powers, and the new ones are more dramatic, letting characters set things on fire and speak with the dead, for example. The big change is that in CW, using a paranormal talent always costs Willpower points. In Chill, WP was spent only if you wanted to raise your chance for success with the power. In Chill, certain creatures always triggered a fear check, and the severity was noted in the monster's stats. CW makes fear checks optional and doesn't specify the severity at all; that's left up to the CM. This is the only change in CW that I disagree with. Leaving fear checks entirely in the CM's hands is a bit too arbitrary. 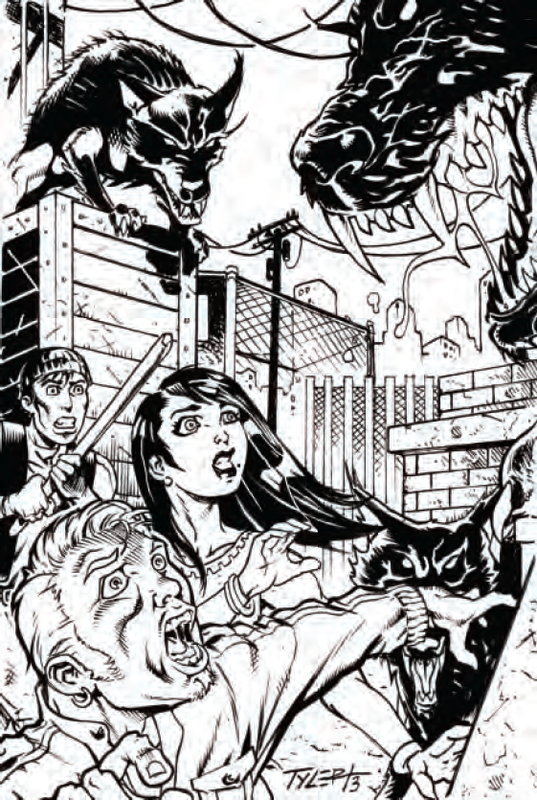 It's true that fear checks in Chill were problematic; they could result in unlucky (or lucky, depending on how things turned out) characters running away from crucial scenes in a very anticlimactic way. I have to believe that the fear rules could have been fixed to achieve a better effect and not simply abandoned to the CM's whim. CW keeps all 14 steps of Chill's complex turn sequence. Side A (with initiative) uses paranormal talents. Side A throws or fires missiles. Side B throws or fires missiles in defense. Side B uses paranormal talents. Side B throws or fires missiles. Side A throws or fires missiles in defense. Stamina loss and recovery are recorded. In practice, it goes quicker than it sounds, because many steps are skipped in many turns. A significant change between the two games is the way injuries are tracked. Chill uses two different systems for tracking damage: Stamina (hit points) and wounds. Every attack chips away your Stamina points, but attacks can also cause wounds. Chill divided wounds into scratches, light, medium, heavy, and critical. Characters can take one critical wound and two of each of the other types. A character drops unconscious when all his Stamina is gone. If he has a critical wound when Stamina hits 0, he dies. Lighter wounds serve only to become critical wounds as they accumulate, or a character can take a critical wound in one shot from a severe hit. CryptWorld drops the wound categories and instead gives characters 11 to 15 wound boxes, depending on Stamina. Different grades of hits cause different numbers of wounds. A character dies if all his wound boxes are crossed off. When a character is down to 3 or fewer wound boxes, he must make Willpower checks to continue fighting through the pain. Both systems are quirky. I prefer the original because grades of wounds add some fun color to the combats. It's also the original and I'm an unapologetic purist. BUT, the new system is cleaner and it works perfectly well. CW adds extensive rules for armor (along with hit locations if you want them) and vehicles, in case you get into a Road Warrior situation. Chill didn't touch on either situation. Chill spelled out the supernatural powers of monsters and villains in a 14-page section on the Evil Way that was a sort of villain's spell list. Monster descriptions then noted which Evil Way powers the creatures could use. CW eliminates the menu of evil powers and instead takes an exception-based approach. 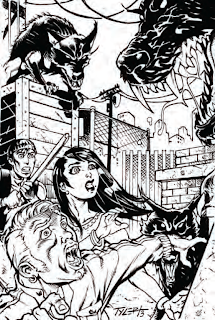 Each monster entry describes the monster's unique special powers, which operate like paranormal talents. The CM is further advised that if he wants his own monsters and villains to have supernatural powers, he should give them some. Sample powers are suggested, but they're only suggestions. This is a more flexible approach than the way Chill handled it, and it avoids the awkwardness that developed in Chill when add-on monster books included new Evil Way powers, resulting in the CM sometimes needing to look in multiple books for all the details on a single creature. CryptWorld's monster list is extensive and includes many creatures pulled from Chill supplements. Finally, CW adds more options for organizations the characters can belong to than just Chill's original S.A.V.E. Nothing was wrong with S.A.V.E., but options are nice. All in all, CryptWorld is a sweet package--a complete, stand-alone horror RPG and a well-executed tribute to both the roleplaying games and the horror movies of the 1980s. Do yourself a favor and pick one of these up for Halloween.